Our Ambassadors come from all walks of life and have many experiences to share. Some are former military leaders. Some are top-level business entrepreneurs. Some are highly respected CEOs of corporations. Some are doctors. Some are attorneys. Some have made a career in sales or merchandising or marketing. But we find they all have two things in common: (1) They have been successful in what they do, and (2) they appreciate the tremendous sacrifice our men and women in uniform have made. 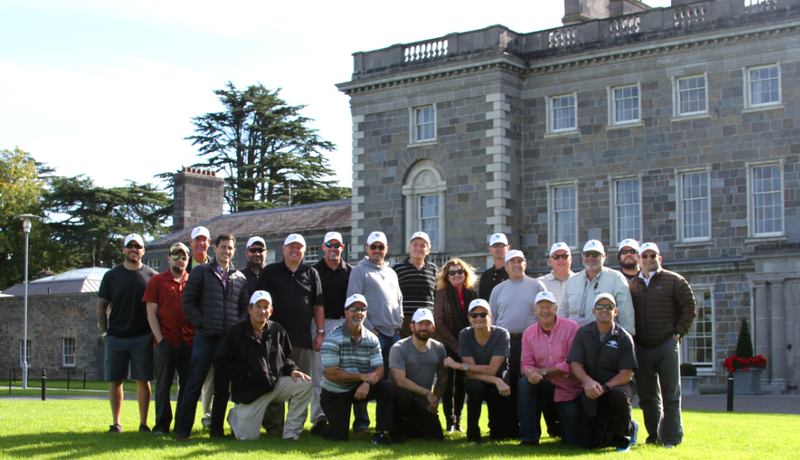 Our Ambassadors support our Veterans in many ways, including the financial sponsorship that allows these Veterans to travel on our golf trips to Ireland and Scotland. Ambassadors can also travel and play along side the Veterans on these trips. They serve as mentors to the Veterans, giving professional and personal advice along the way. But generally our Ambassadors learn as much as they teach. Playing golf and spending a week with combat-injured Veterans who are using golf as part of their recovery is an eye-opening experience and tremendously inspiring. The resulting bonds and friendships can be everlasting—and rewarding for everyone. Becoming an Ambassador is easy, and we have different levels of financial support. Fairways for Freedom® is a recognized 501 (c) (3) Public Charity. Request more information on the Contact page or to secure your place on an upcoming trip. If you cannot commit to being an Ambassador, please consider a financial donation. Donations are approximately 73% tax deductible (100% if sponsoring a Veteran without going on a trip). We think this short documentary about Bobby Farmer, who has been awarded three Purple Hearts and been on two of our Fairways for Freedom® trips, is something you should see. It is extremely well done and powerful. But beware: it contains some very strong images of war. It shows absolutely and graphically what these veterans go through serving our country in the field of battle and upon returning home.